SHANGHAI — A year after being fined for "tanking" a match at the Shanghai Masters, Nick Kyrgios quit another one altogether. The temperamental Australian argued several times with the chair umpire during his first-round match against Steve Johnson on Tuesday. After losing the tiebreaker 7-6 (5), Kyrgios shook hands with Johnson at the net and then with the chair umpire before packing his bags and walking off court. Serving at 30-30 in the 12th game of the first set, a forehand by Kyrgios was called out. The Australian challenged the call and it was overruled. Kyrgios then hit two balls in anger and was assessed a code violation warning. At the change of ends in the tiebreaker, Kyrgios was leading 4-2 but was annoyed that fans were being allowed to come into the court. Kyrgios lost the next point and then started to complain and curse, which earned him an audible obscenity code violation. He was docked a point, which made the score 4-4. When the set was done, so was Kyrgios. He left the court without explanation, avoided a news conference, and took to Twitter to firstly apologize for his actions then give his reasons. "I've been battling a stomach bug for the past 24 hours and I tried to be ready but I was really struggling on the court today which I think was pretty evident from the first point," he wrote. "My shoulder started to hurt in the practice today which didn't help either and once I lost the first set I was just not strong enough to continue because I've not eaten much the past 24 hours." The ATP said it was investigating. Kyrgios added he would decide on Wednesday whether to play his scheduled doubles. Last year, Kyrgios was suspended by the men's tour for tanking a match and insulting fans following a second-round loss to German qualifier Mischa Zverev at the Shanghai Masters. Kyrgios gave little effort during the 6-3, 6-1 loss, even patting easy serves over the net and turning away before his opponent's serve crossed the net. Kyrgios arrived in Shanghai this time after losing the China Open final to Rafael Nadal 6-2, 6-1 on Sunday. Also, John Isner beat Serbian qualifier Dusan Lajovic 4-6, 7-6 (5), 7-6 (6) on a day with temperatures soaring past 32 degrees C (90 degrees F). 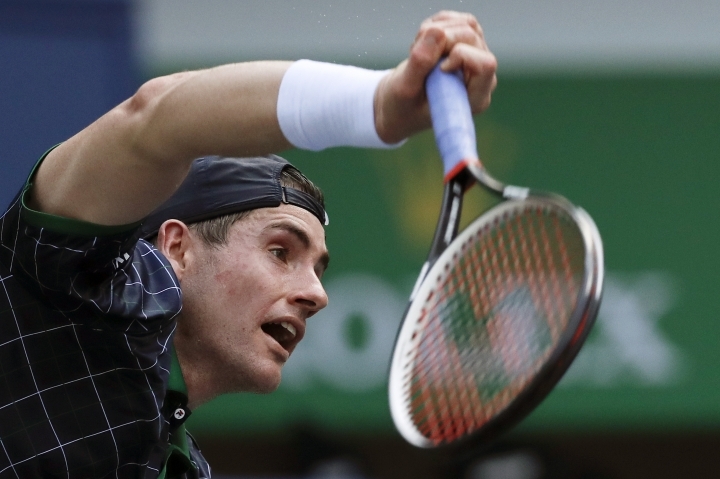 "The conditions were brutal," Isner said. "It felt like Atlanta in August. That could've been the hottest match I played all year." American Jack Sock, the 14th seed, retired in his match because of dehydration with Ukrainian qualifier Alexandr Dolgopolov leading 4-6, 6-1, 2-1. 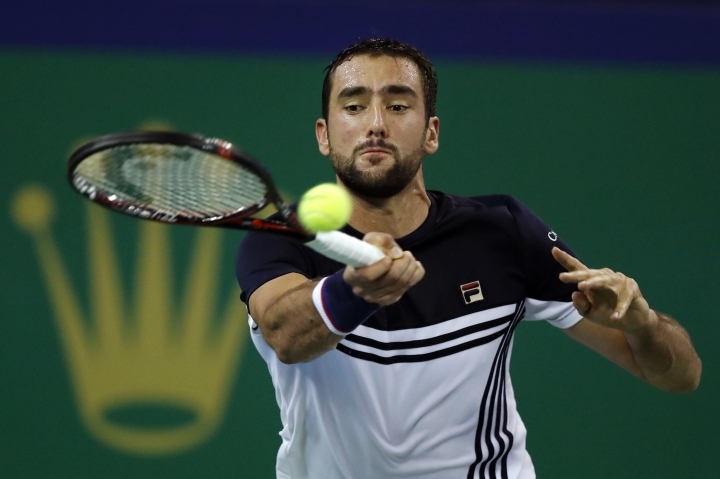 Also, Marin Cilic, a Wimbledon finalist this year, defeated Kyle Edmund of Britain 6-3, 7-6 (5) in the second round. 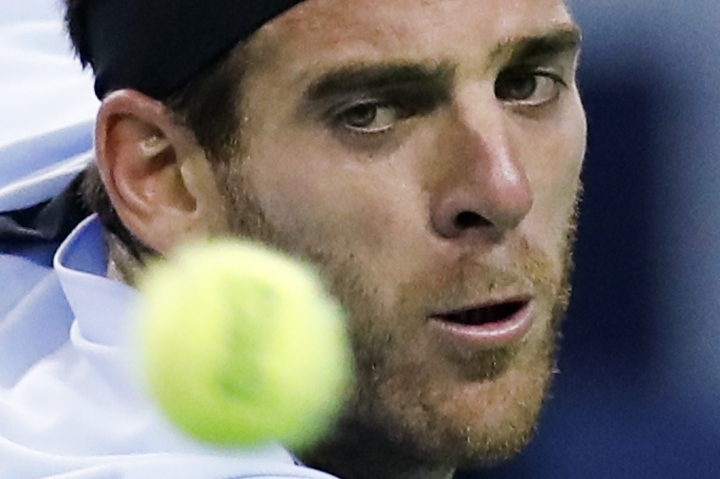 Juan Martin del Potro also made the third round. U.S. Open finalist Kevin Anderson began by defeating Adrian Mannarino 6-3, 6-1, and Ryan Harrison of the U.S. beat local wild card Zhang Ze 6-2, 6-3.